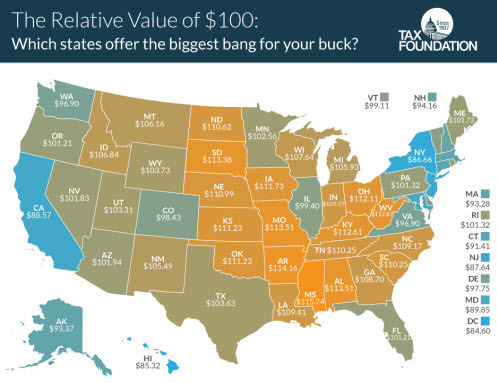 Sunday Fun: What State Offers the Best Bang for the Buck? 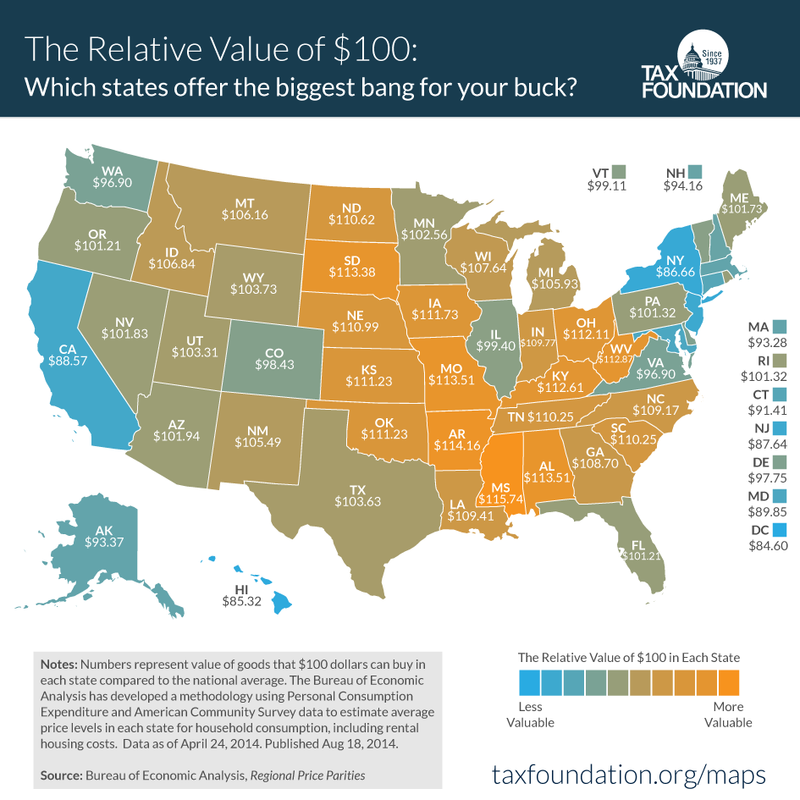 Below is a map of the United States showing how far $100 gets you in goods and services. Not surprisingly, some of the most expensive states are New York, D.C. and California with many of the cheapest states residing in the Midwest with the exception of Illinois.